Priyanka Gandhi Vadra, the Congress star campaigner, requested the people to support Congress and elect Congress candidates for bringing back development in Uttar Pradesh. She addressed various election meetings in Raebareli during UP assembly elections. While addressing an election meeting at the Unchahar assembly segment in Raebareli, Priyanka Gandhi said that non-Congress governments which ruled the state for 22 years ruined the state of UP. Priyanka Gandhi Vadra requested the people in Raebareli to support Congress and elect Congress candidates for bringing back development in Uttar Pradesh. She addressed various election meetings in the region during UP assembly elections. While speaking at an election meeting at the Unchahar assembly segment in Raebareli, Priyanka Gandhi said that non-Congress governments which ruled the state for 22 years ruined the state of UP. Uttar Pradesh was the pride of our country, said Congress President Sonia Gandhi while addressing an election rally in Moradabad. “But now what is the situation in Uttar Pradesh?,” she asked. Congress President and UPA Chairperson Sonia Gandhi while addressing a mammoth election rally in Moradabad said that the non-Congress parties – BJP, SP and BSP – follow the divide and rule policy like the British. “For the past 22 years parties like BJP, SP and BSP, have been trying to divide the people in the name of caste and religion. They are following the policy of divide and rule,” said Sonia Gandhi. Congress President and UPA Chairperson Sonia Gandhi while addressing a mammoth election rally in Moradabad explained various Central welfare policies by the congress led UPA Government at the Centre. “UPA Government has done a number of welfare schemes and policies for the people. We implemented Mahatma Gandhi NREGA policy to address the issue of unemployment in the villages by which every poor is guaranteed for a minimum of 100 days’ job every year. The UPA framed policies like Jawahar Lal Nehru National Urban Renewal Mission to ensure house, water and roads, National Rural Health Mission to provide adequate health facilities for the poor, Sarva Siksha Abhiyan to ensure that every children in the age group of 6 to 14 get proper education, Mid-day meal scheme to ensure food to every children in the schools, Pradhanmantri Gram Sadak Yojana, opened up new Universities and implemented Rajiv Gandhi Electrification Scheme to provide electricity at every place”. 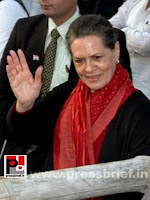 Sonia Gandhi while addressing an election rally in Moradabad said that the Centre made a number of schemes for the development of U.P and sent thousands of crores of rupees to the state under various schemes. “The Government at the Centre sent more than one lakh crore rupees to Uttar Pradesh. But it is a matter of great concern that the people of Uttar Pradesh could not avail the benefits. All these funds were swindled out in corruption and scams. There are reports of corruption in MNREGA and NRHM schemes,” she concerned. Referring the policies by the Centre for minorities Congress President Sonia Gandhi said, “It was Congress which implemented policies for the minorities. Congress implemented the recommendations of the Sachar Committee. For the first time in the history, a separate ministry for the minorities was formed. We also gave loan worth five lakh crores of rupees under the Prime Minister’s fifteen point programme for minorities. Under Sarva Shiksha Abiyan several new schools and Kasturba Gandhi Balika Vidyalayas were opened at various minority dominated areas. We also increased the budget for the Maulana Azad Foundation to provide financial assistance for the modernization of the madrasas. Congress President Sonia Gandhi addressed a mammoth election rally in Moradabad. “To help our sisters in the minorities we designed an easy-loan scheme for those who want to start their own business. We also granted 4.5 percentage reservation for the backward Muslims. I can name a number of such policies which clearly prove our commitment” she said. “Congress treats everyone equally,” said Congress President Sonia Gandhi while addressing an election rally in Moradabad. “When the poor farmers were struggling because of huge debts, the UPA Government helped them with a scheme to waive off their loan worth more than Rs. 70,000 crore. But due to the wrong policies of the state Government the farmers in UP could not avail its benefits. We increased the procurement prices to help the farmers. There is no shortage of fertilizers at the Centre and it sent fertilizers to UP, too. But because of the corrupt distribution system by the state Government, the farmers are not able to get adequate fertilizers in UP,” she added. Congress President and UPA Chairperson Sonia Gandhi addressed a big election rally in Moradabad. She asked the people to support Congress to bring back development in Uttar Pradesh. “We will have to change this situation. We should bring back the lost glory of Uttar Pradesh. We want to ensure a good future for the youth in the state. We want to free Uttar Pradesh from the evils of corruption, crime and injustice. We want the youth in the state live with pride,” asserted Congress President. She exuded confidence that the electorate would pay attention on these issues and vote for her party in the coming elections. Priyanka Gandhi Vadra while addressing an election meeting in Raebareli urged the people to think properly before voting. This election is to decide your future and the future of your state she said. She has been campaigning in Raebareli, the Parliament constituency of her mother and congress President Sonia Gandhi. This election will decide the future of the state and the people reminded Priyanka Gandhi Vadra. Priyanka Gandhi Vadra while addressing an election meeting in Raebareli said that development comes from four sources – Central Government, MP, MLA and the state Government. She has been campaigning in Raebareli, the Parliament constituency of her mother and congress President Sonia Gandhi. This election will decide the future of the state and the people reminded Priyanka Gandhi Vadra. Priyanka Gandhi Vadra while addressing an election meeting in Raebareli said that for the past 22 years the people of UP have been experiencing a negative politics. You have been witnessing opportunistic and corrupt politics since long. Now you should change this by supporting Congress said Priyanka Gandhi Vadra. Priyanka Gandhi Vadra while addressing an election meeting in Raebareli said that that for the past 22 years the people of UP have been witnessing opportunistic and corrupt politics. Now you should change this by supporting Congress said Priyanka Gandhi Vadra. Priyanka Gandhi Vadra who campaigned for Congress in Amethi and Raebareli requested the people to elect Congress candidates for bringing back development in Uttar Pradesh. While speaking at an election meeting at the Unchahar assembly segment in Raebareli, Priyanka Gandhi said that non-Congress governments which ruled the state for 22 years blocked the development in the state and as a result the state of Uttar Pradesh slipped backward. Priyanka Gandhi Vadra is speaking at an election meeting in Raebareli. She has been campaigning for Congress in Amethi and Raebareli, the respective constituencies of her brother Rahul Gandhi and mother Sonia Gandhi. Priyanka Gandhi said that Sonia Gandhi – the Congress President – works with devotion and commitment for the development in Raebareli. Priyanka Gandhi Vadra is speaking at an election meeting in Raebareli. She has been campaigning for Congress in Amethi and Raebareli, the respective constituencies of her brother Rahul Gandhi and mother Sonia Gandhi. Priyanka Gandhi said that the people of UP has been experiencing a politics of anarchy and opportunism and she urged the people to change this negative politics. Priyanka Gandhi Vadra is speaking at an election meeting in Raebareli. She has been campaigning for Congress in Amethi and Raebareli, the respective constituencies of her brother Rahul Gandhi and mother Sonia Gandhi. Priyanka Gandhi said that the fertilizers send to the state do not reach the people due to the corrupt distribution policy by the state Government. Priyanka Gandhi Vadra is speaking at an election meeting in Raebareli. She has been campaigning for Congress in Amethi and Raebareli, the respective constituencies of her brother Rahul Gandhi and mother Sonia Gandhi. Priyanka Gandhi said that she is seeking votes not in favour of Congress but for ensuring a good future for the people in UP. Priyanka Gandhi Vadra is speaking at an election meeting in Raebareli. She has been campaigning for Congress in Amethi and Raebareli, the respective constituencies of her brother Rahul Gandhi and mother Sonia Gandhi. Priyanka Gandhi said that the BSP Government is deliberately ignoring Raebareli and also trying to block any development in the region. Priyanka Gandhi Vadra is speaking at an election meeting in Raebareli. She has been campaigning for Congress in Amethi and Raebareli, the respective constituencies of her brother Rahul Gandhi and mother Sonia Gandhi. Priyanka Gandhi said that the leaders should talk about development. Reject those who do not talk about your progress she added. Priyanka Gandhi Vadra is speaking at an election meeting in Raebareli. She has been campaigning for Congress in Amethi and Raebareli, the respective constituencies of her brother Rahul Gandhi and mother Sonia Gandhi. Priyanka Gandhi said that this election is very crucial to determine the future of the state and the people. Priyanka Gandhi Vadra is addressing an election meeting in Raebareli. She has been campaigning for Congress in Amethi and Raebareli. She said that the present BSP regime in UP is corrupt and never bothered bout the people. Priyanka Gandhi Vadra is addressing an election meeting in Raebareli. She has been campaigning for Congress in Amethi and Raebareli. Priyanka Gandhi Vadra asked people to bring in changes in UP by changing the Government. He urged the people to support Congress. Priyanka Gandhi Vadra is addressing an election meeting in Raebareli. She has been campaigning for Congress in Amethi and Raebareli. She said that her mother Sonia Gandhi – the Congress President and MP from Raebareli – has been trying her level best for the development of Raebareli. Priyanka Gandhi Vadra is addressing an election meeting in Raebareli. She has been campaigning for Congress in Amethi and Raebareli. She asked people to change the bad state of affairs in UP by casting votes intelligently. Priyanka Gandhi also urged people to support Congress. Priyanka Gandhi Vadra is addressing an election meeting in Raebareli. She has been campaigning for Congress in Amethi and Raebareli. She asked people to bring in positive changes in UP by casting votes intelligently. Priyanka Gandhi also urged people to support Congress. Priyanka Gandhi Vadra is addressing an election meeting in Raebareli. She has been campaigning for Congress in Amethi and Raebareli. She asked people to bring in positive changes in UP by using the biggest strength – the right to vote. Priyanka Gandhi also urged people to support Congress. Priyanka Gandhi Vadra is addressing an election meeting in Raebareli. She has been campaigning for Congress in Amethi and Raebareli. She asked people to bring in positive changes in UP by using the biggest strength – the right to vote. Priyanka Gandhi also urged people to support Congress to ensure development in UP. Priyanka Gandhi Vadra while addressing an election meeting said that her mother and Congress President Sonia Gandhi has been working exceedingly well for the development in the region. 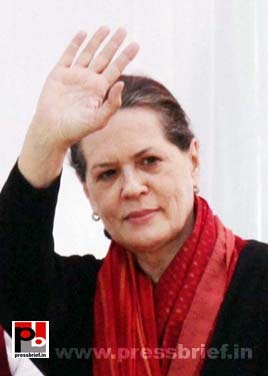 Sonia Gandhi is the Member of Parliament from Raebareli. Priyanka Gandhi has been campaigning for Congress in the poll bound Uttar Pradesh. Priyanka Gandhi Vadra who has been campaigning for Congress in Raebareli asked the people to cast their votes intelligently. This election is not to elect MLA but to decide the future of the state, reminded Priyanka Gandhi. Priyanka Gandhi Vadra who has been campaigning for Congress in Raebareli asked the people to cast their votes intelligently. This election is not to elect MLA but to decide the future of the state, reminded Priyanka Gandhi. It is the people who make leaders and without the strength of the people no one can become a leader said Priyanka Gandhi. Priyanka Gandhi Vadra who has been campaigning for Congress in Raebareli asked the people to cast their votes intelligently. This election is not to elect MLA but to decide the future of the state, reminded Priyanka Gandhi. Change the negative politics you have been witnessing in the past 22 years and transform UP said Priyanka Gandhi. Priyanka Gandhi Vadra who has been campaigning for Congress in Raebareli asked the people to cast their votes intelligently. We are here not to deliver lectures; Congress is fighting for a win, said Priyanka Gandhi exuding confidence among the people. Priyanka Gandhi Vadra who has been campaigning for Congress in Raebareli asked the people to cast their votes intelligently. We are here not to deliver lectures; Congress is fighting for a win, said Priyanka Gandhi exuding confidence among the people. She also requested people to go to the polling stations in large numbers and vote for Congress candidates. Priyanka Gandhi Vadra addresses an election meeting in Hardoi at Raebareli. She said that the present BSP Government in UP never bothered about the people and no development took place in the state. She urged the people to cast their vote after thinking about the development of the state and the future of the people. While addressing an election meeting in Raebareli Priyanka Gandhi Vadra said that the BSP Government in UP tries to create hurdles in the development works done by the Central Government in the region. She said that Congress President and her mother Sonia Gandhi who is also the MP from Raebareli brought a number of projects in the region but the state Government always tried to block it. While addressing an election meeting in Raebareli Priyanka Gandhi Vadra said that the both SP and BSP never tried to bring in development in Uttar Pradesh. They all were indulged in corruption she said. Priyanka Gandhi Vadra also said that the state government tries to create hurdles in the development works done by the Central Government in the region. Congress President and UPA Chairperson Sonia Gandhi lashed out at SAD-BJP government saying it has pushed Punjab backward in the last five years. She was talking at a big public meeting in Punjab. The Congress President also alleged that that the farmers of the state are a neglected lot under the present SAD-BJP rule. The UPA Chairperson also said that Badals in Punjab look after the interests of only their own family. Assuring that Congress is committed for development Sonia Gandhi reiterated that Congress is committed to development and will certainly bring the state back on its feet if voted to power. While addressing an election meeting in Raebareli Priyanka Gandhi Vadra said that the both SP and BSP never tried to bring in development in Uttar Pradesh. After 22 years now the people have a chance to bring in a Congress Government in the state she said. A Congress Government will definitely ensure development in Uttar Pradesh assured Priyanka Gandhi Vadra. While addressing an election meeting in Raebareli Priyanka Gandhi Vadra said that the both SP and BSP never tried to bring in development in Uttar Pradesh. The Central funds and schemes do not reach the people she said. The huge amounts sent to the state by the Centre under various schemes were not utilized properly. The people were denied of the benefits said Priyanka Gandhi Vadra. While addressing an election meeting in Raebareli Priyanka Gandhi Vadra urged the people to support Congress to strengthen the hands of Congress President and the MP from Raebareli Sonia Gandhi. The Central funds and schemes do not reach the people she said. The huge amounts sent to the state by the Centre under various schemes were not utilized properly. The people were denied of the benefits said Priyanka Gandhi Vadra. Congress General Secretary Rahul Gandhi while addressing an election rally in Mathura said that in 2004 Congress had promised a Government of aam aadmi and we delivered it. On the other side BJP brought out a slogan in English – India Shining. The people gave a befitting reply by giving a mandate to the Congress said Rahul Gandhi. Congress General Secretary Rahul Gandhi is addressing an election rally in Mathura. When we went to the people in 2004 they had told us that sufficient jobs are not available in villages. The Congress-led UPA Government therefore made the Mahatma Gandhi NREGA policy to ensure a minimum of 100 days of jobs for every poor at a daily wage of Rs. 120 said Rahul Gandhi. Congress President Sonia Gandhi held discussions with the newly sworn-in Chief Minister Vijay Bahuguna and other senior party leaders to resolve the matter in the Uttarakhand unit of the Congress. AICC general secretary incharge for Uttarakhand Chaudhary Birender Singh, Union Minister Ghulam Nabi Azad, and Sonia Gandhi’s political secretary Ahmad Patel were also present in the meeting. The Congress is also considering various strategies to find an early solutions to the issues in Uttarakhand. The persons to nominate for the Rajya Sabha from Uttarakhand also will come to the discussion. There are indications that the party is willing to accommodate some of the demands of Mr. Rawat.